The Kitchen Centre specialise in supplying quality fitted Kitchens, bedrooms and appliances manufactured by some of the top name brands. We are an independent company, very proud of our reputation, with over twenty year’s experience. When you visit any of our showroom you will be greeted by one of our friendly and knowledgeable team; be it an enquiry for a complete kitchen or just a tap. If you are building an extension we can easily take measurements from your architect’s plans and work with your builder to ensure a smooth process whether we are installing or just delivering as a supply only. 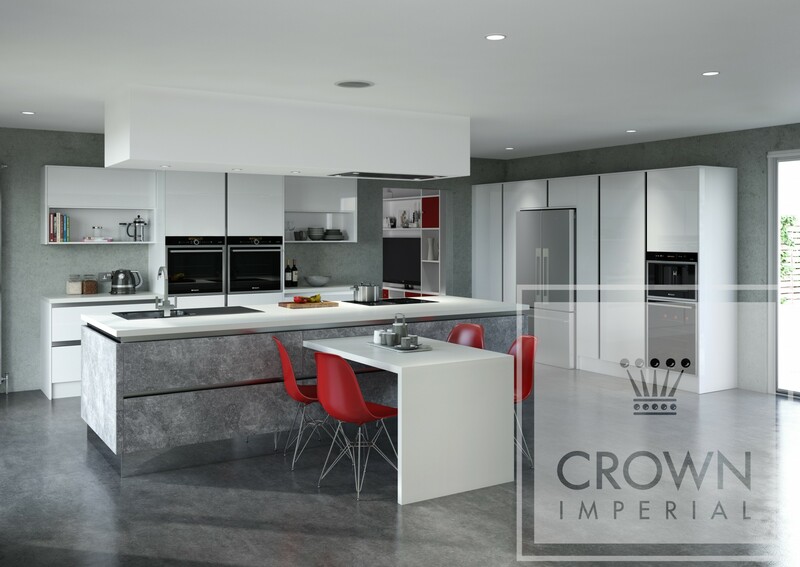 Our Crown Imperial specialists work with you to get the design, colour, specification and price of your furniture just right, so when it’s finished, it fits perfectly around you. Each kitchen is purpose-built for your home by skilled craftspeople, who take the time to create something unique and personal for the hub of the home.